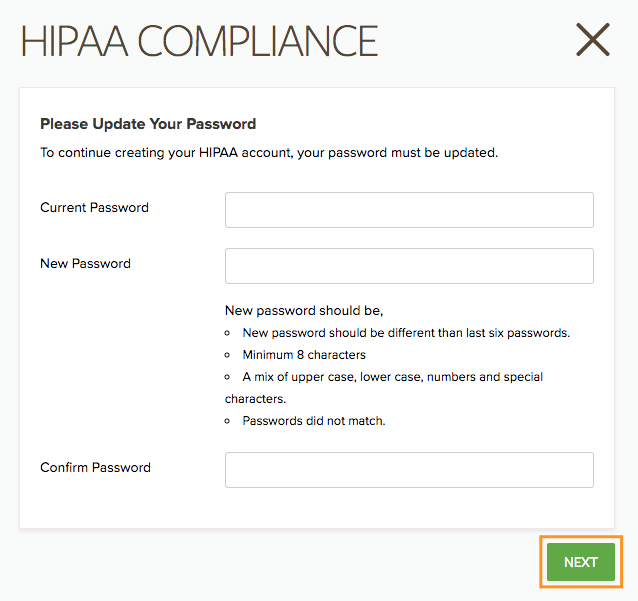 How to upgrade to HIPAA Compliance? Print Home / HIPAA Compliant Forms / How to upgrade to HIPAA Compliance? JotForm HIPAA accounts are served from an isolated HIPAA system. In that system, we are taking additional measures in addition to our normal practices to avoid even unintentional data breaches. When you upgrade to HIPAA compliance, all your data is migrated to the isolated HIPAA system which supports HIPAA guidelines. 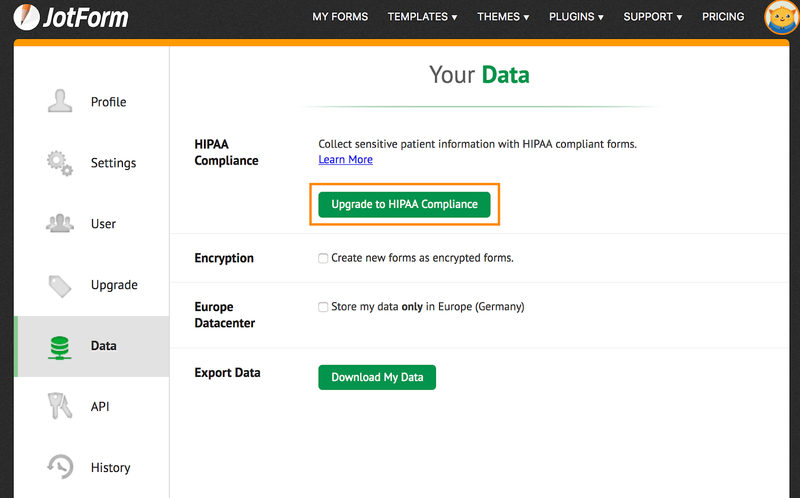 You may create a new account or upgrade your existing JotForm account to HIPAA compliance. Our upgrade wizard will help you with both cases and in this guide we will explain those steps. 1- The upgrade wizard is initiated from https://www.jotform.com/myaccount/data. 2- The upgrade wizard will first check your subscription type. We are offering HIPAA compliance only for Silver or Gold subscriptions. If you don’t have a Silver or Gold subscription you will see the following message. 3- The upgrade wizard will check if you have verified your email address. If you have not already verified your email address, you will see the following message. "You can update your email address, trigger re-sending verification email to continue." - It must be a mix of upper case, lower case, numbers and special characters. After defining your new password, please click “Next” to continue. 5- At this step, you will be asked to sign JotForm's Business Associate Agreement (BAA). Please provide required information and click "Submit". BAA will be generated automatically with the information you have provided and will be sent you via email once upgrade operation is completed on your account. Here is how BAA form looks like. 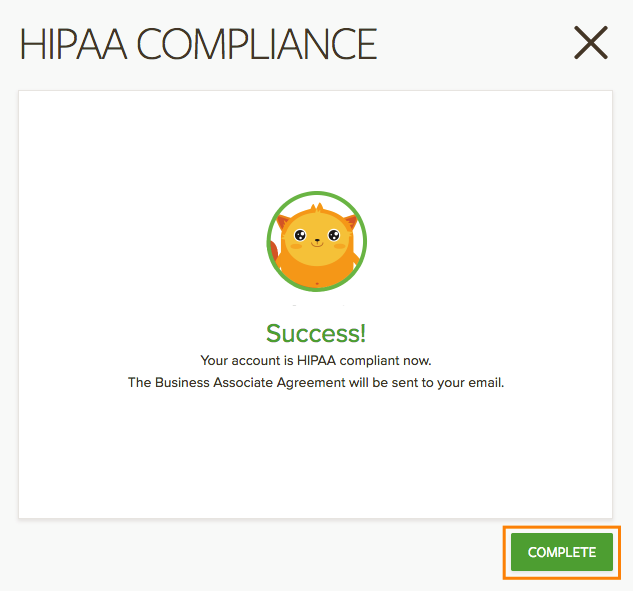 6- In this step, the upgrade wizard will review all your forms for HIPAA compliance. 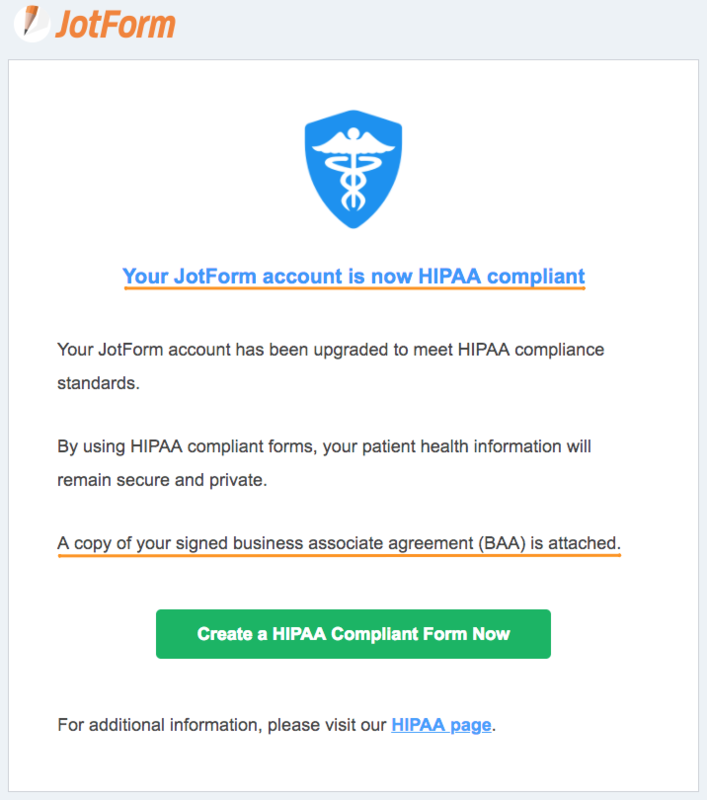 To avoid any HIPAA compliance issue, JotForm will allow use of only HIPAA compliant widgets and integrations in your forms. If wizard detects any elements in your forms that are not HIPAA compliant, it will list those elements. If no issues are found, then you are all set to begin migration. Please click “Next” to start migrating your forms to our HIPAA system. 7- Clicking “Next” in the previous step will trigger the automated migration process for your forms. Once the migration is completed, you will see the following screen showing the result of migration. From this screen, you can download JotForm’s signed Business Associate Agreement (BAA). Click “Complete” to close the wizard. 8- You will also receive an email notifying you about the result of the migration. JotForm’s signed Business Associate Agreement (BAA) will also be attached to this email. 9- Congratulations! Your account, forms and data are now HIPAA Compliant. 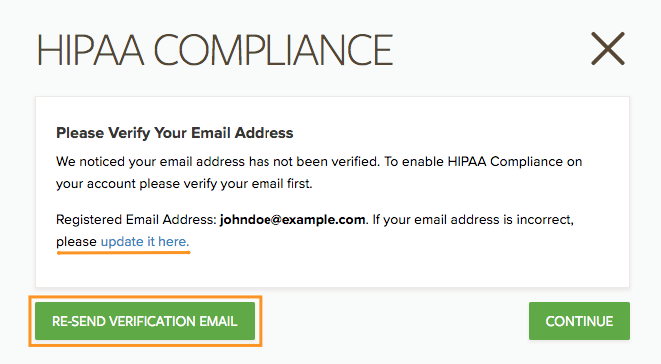 The HIPAA Compliance badge is automatically added to your account and forms. Important Notice 2: Please make sure your email address is verified. How to receive the BAA for my HIPAA account? 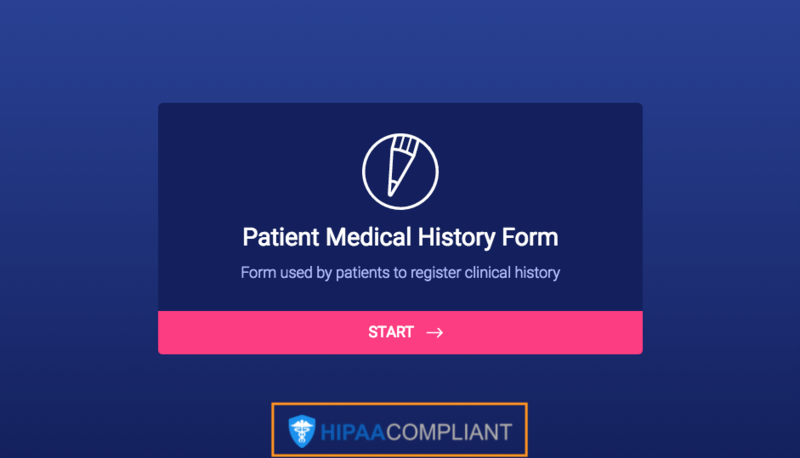 How to make sure your forms are HIPAA Compliant? 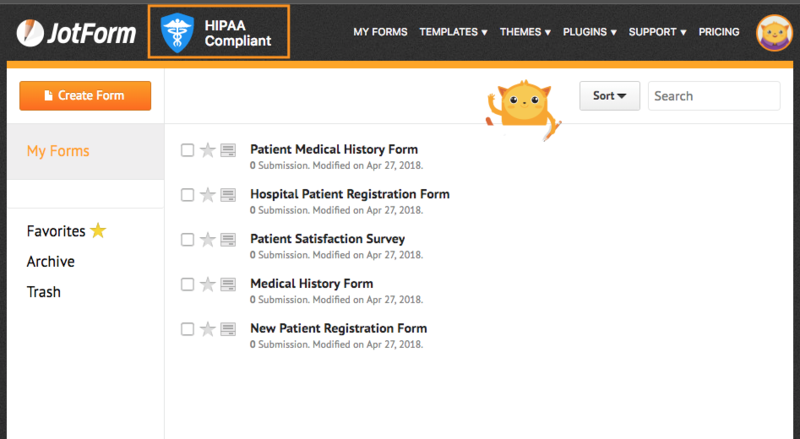 How to remove HIPAA Compliance Badge on the forms? How to set PHI fields on your forms? Is it possible to show one value of checkbox but save different values in submissions? How do I report phishing?